Bratislava, capital of Slovakia, is home to a population of 500,000 people. This south-western Slovakian empire rest between the banks of the River Danube and the left bank of the River Morava. Enjoy a stroll around the streets lined with cafes and restaurants, indulge in some shopping in the old town with many authentic objects for sale. 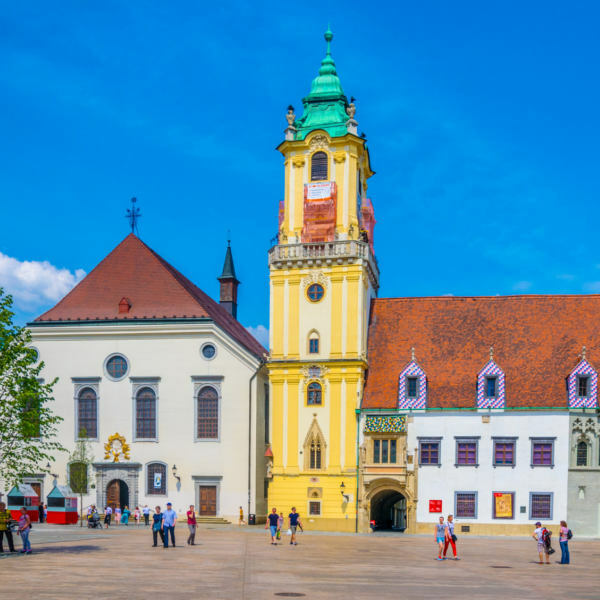 Cheap flights to Bratislava are now available for a limited period of time, so get ready to be captivated by this beautiful city. Bratislava is home to the Bratislava Airport (BTS), which is approximately 20-minute drive to the city centre. 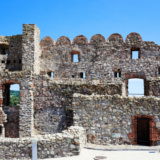 Rich in primal architecture, Bratislava hosts a collection of castles, museums, and archaic palaces. Wander around the streets of a bygone era, and explore the glorious beauty of natural landscapes. 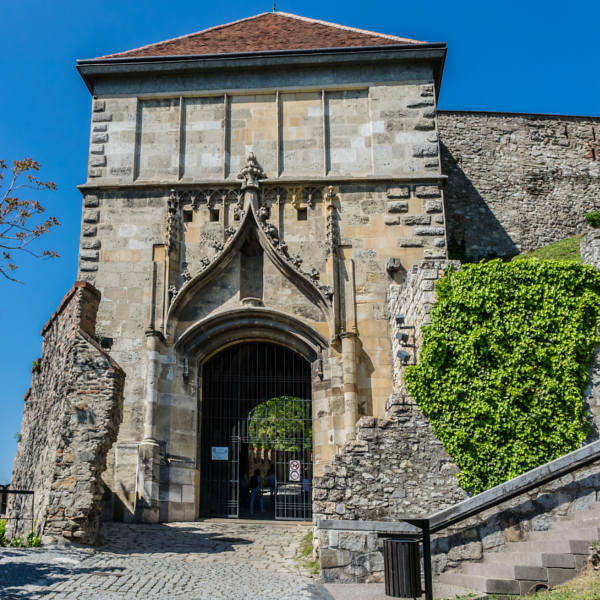 A history influenced by many nations and religions is intrinsically woven into Bratislava’s past. A dense city centre makes it easy to walk and soak up its intrigue and charm. Celebrating food and culture, the city boasts excellent cuisine. Tantalising dishes like, potato dumplings served with kofola (Slovakian drink), kapustnica (soup with sausage, sauerkraut), and rezeň (breaded schnitzel) are enjoyed. Half of Bratislava is flat surfaced, and the other half is hilly. These halves have different climates. Winter (December – early March) Love the cold wintry months? Get out and ski on the outskirts of the city on a mini ski-slope, or explore 10-kilometers of prepared trails in the beautiful countryside. The temperatures normally drop below zero into the minus 5 - 10 degrees Celsius range. Pack warm clothing if you plan a trip in winter. Spring (March - May) In early spring, the forests are still covered in snow, whilst the low-lying plains are flourishing with spring flowers. In spring you can try canoeing on the peaceful Danube River, or go paddling through flooded low-lying forests and islands. The essence and charisma of the woods, forest, and thick patches of grassland around this time of year make for an intriguing countryside. Adding an exceptional quality of life to the national theme of the Danube River. Summer (June - September) The summer season is usually bright, sunny and hot, with temperatures soaring to 30 degrees Celsius. People are cheerful and outgoing, and more people come into the city. Local accommodation tariffs soar. Plan early to avoid being disappointed. In summer, you can try white water rafting in one of the best water-sports cities in Europe. Bratislava became the capital of Independent Slovakia in 1993, and is its largest city. It is the political, cultural and economic hub of the city. In the south-west of Slovakia, Bratislava rests on the banks of the Danube River. An intense fusion and blend of nations and religions is woven into the history of the city - untamed and urban, yet archetypal and contemporary. A well-preserved history with ancient monuments, palaces, museums and open plazas hosting grand statues, are trademarks of the city. Philharmonic Orchestra combined with modern attractions such as casinos, clubs and modern-day cinemas serves up an interesting brew of world renowned culture. In the centre of the city, an airborne saucer floats above the forest-like banks of the rivers, making for an awe-inspiring view. 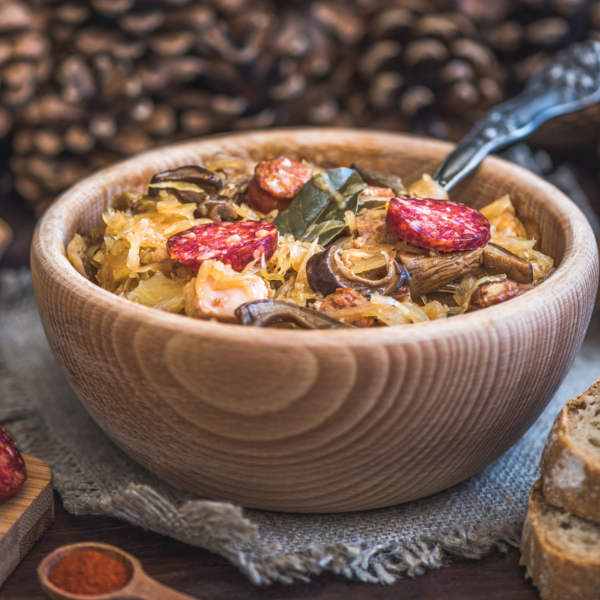 Due to the diversity in the city’s history, Bratislava cuisine is exciting and varied. Cafes serve food on the go, and restaurants feature trendy lounges and expansive eateries. Compare several airlines and book your cheap flights to Bratislava online at Travelstart! All travellers should be up to date with routine vaccinations, as vaccinations are required. There are no real health risks associated with travelling to Bratislava, Slovakia. • Always watch your beverages when nightclubbing. The area is the core of Bratislava nightlife, culture and tourist attractions. The condensed and close-knit area is one of the best places to stay in Bratislava for a quick city break or superb sightseeing. Palisady is the quieter, more peaceful part of Bratislava, nice for couples and great for families. It is close to tourist attractions and within walking distance from Old Town. Palisady is the best place to stay for all travellers. A well located vicinity for those seeking a blend of convenience and a local feel. Stay here if you are interested in the collective architecture and want to be close to downtown. Wandering between the giant concrete buildings will give you a spectacular experience of the city. If you are up for an urban adventure and something entirely different, Petrzalka is the place to be. Make sure you always purchase a ticket when travelling via public transport in Bratislava, and ensure your ticket is on hand – as ticket inspectors do random ticket checks at destination points. Bus: Bus lines cover most of the city. Be sure to check information and destination route maps before boarding. Trams: These are generally faster during the day, and buses tend to be stuck in traffic jams. A ticket can be purchased on board. Trolley buses: These service certain parts of the city, especially the area above the bastion hill. Night lines cover all parts of the city, but only run 3 times per night.